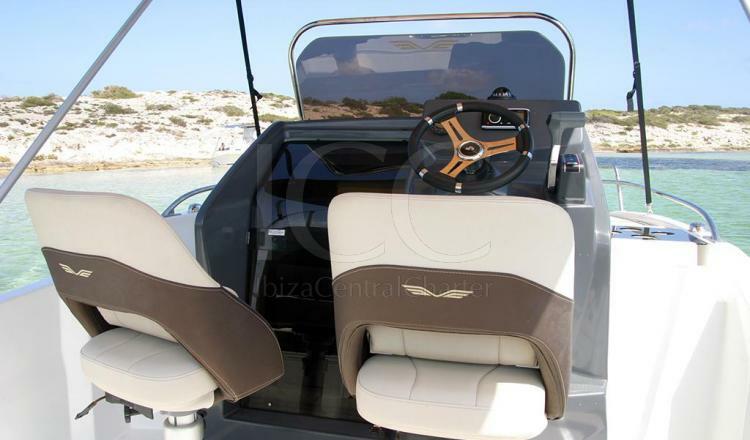 Motorboat of almost 6 meters with capacity up to 6 people in Ibiza. 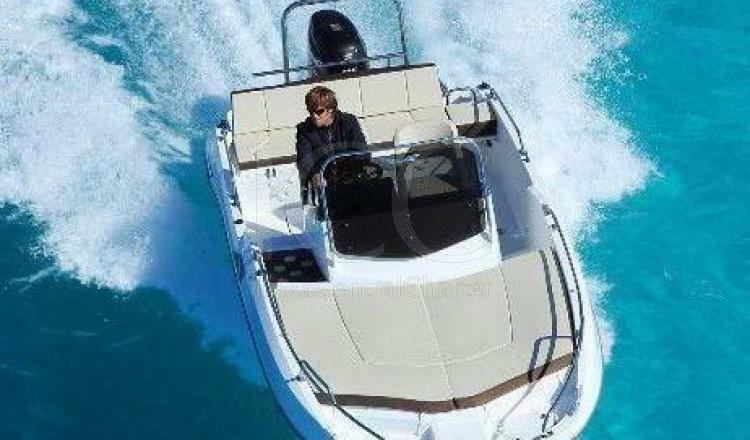 The Beneteau Flyer 5.5 offers amplitude, comfort and security in your holidays. 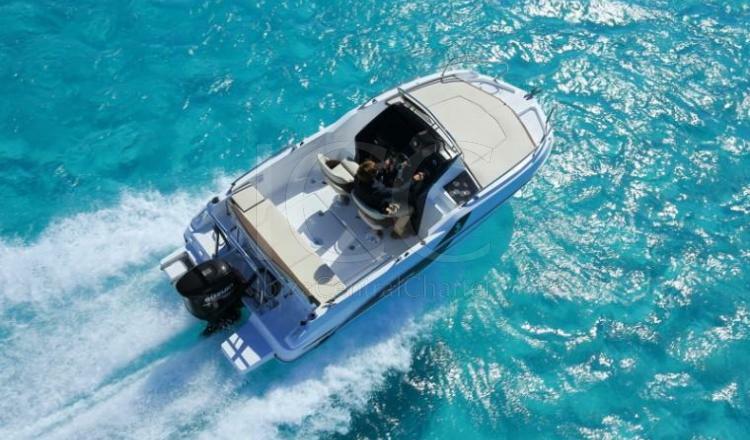 The Beneteau Flyer 5.5 is a boat with less than 6 meters in length that offers capacity for a group of 6 people to comfortably navigate on board. 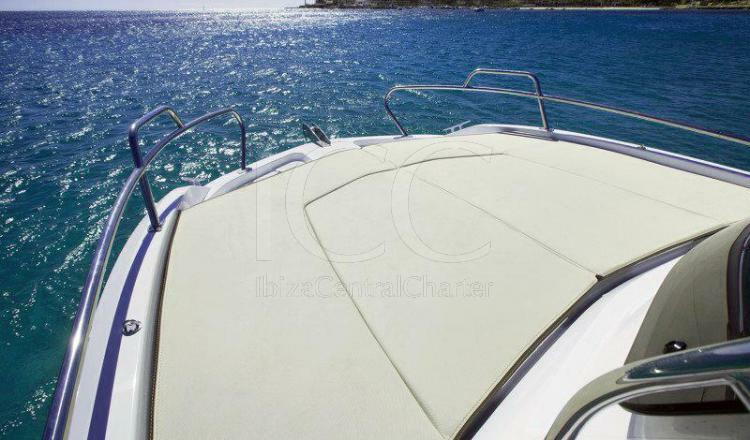 Despite its small size it provides everything you need to enjoy a great holiday in the islands of Ibiza and Formentera. It offers a solarium in bow ideal for relaxing to sunbathe. 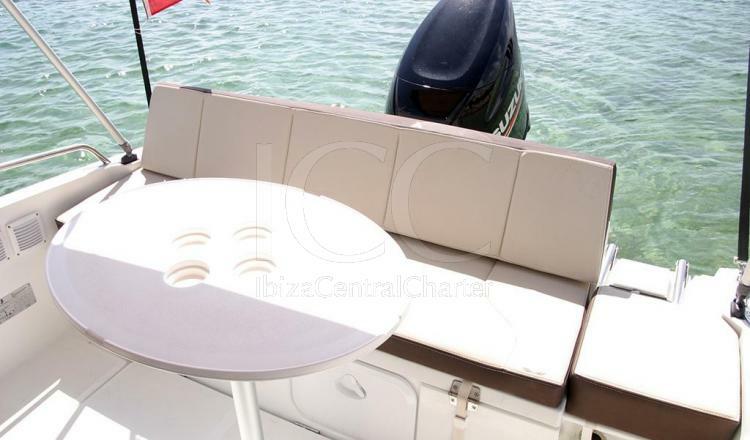 In the bathtub there are comfortable seats with folding backrest that can be converted into an additional solarium or can be complemented with a removable table and enjoy an outdoor picnic. 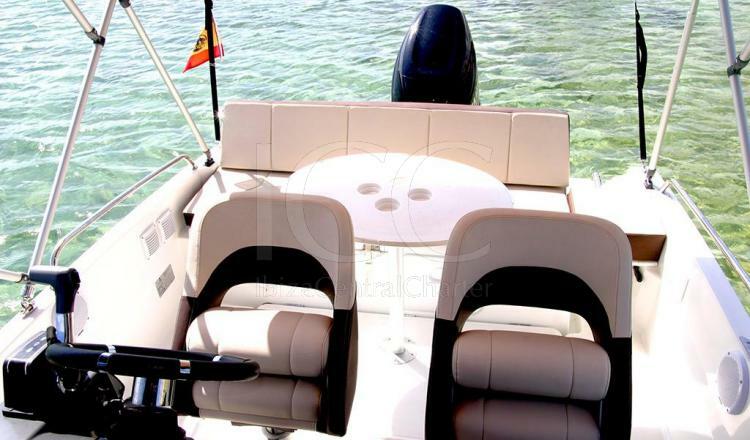 This allows all passengers to lie down and rest in the sun or in the shade under their awning bimini according to the preferences. When it comes to enjoying a good dip, it has a bathroom staircase that facilitates access to the sea. As well as a freshwater aft shower to remove salt from the skin. 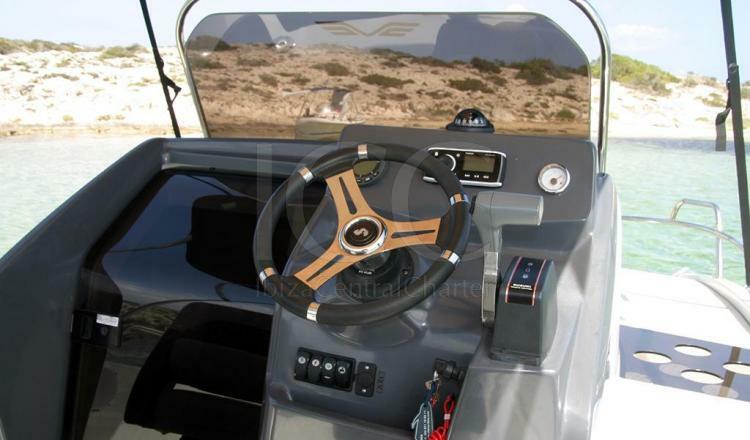 In addition, it has a small cabin that will allow you to store everything that is not used or is necessary to protect it from the sea and the sun. - Fuel: the deposit is delivered full and the customer must return it full (25 L/H). 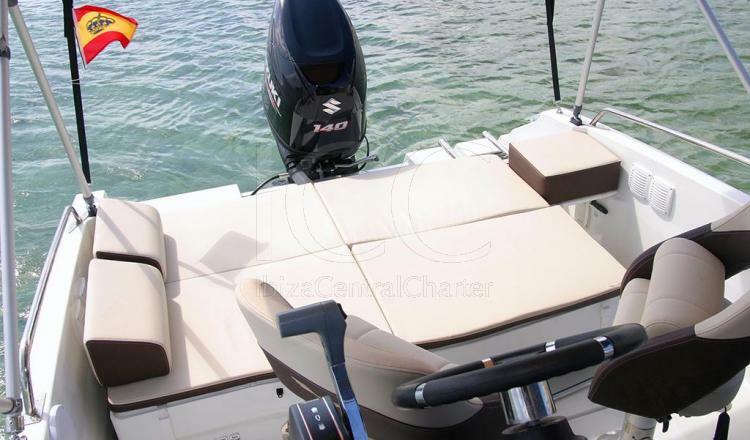 In case of cancellation of the rental by the client the amount paid will be refundable. 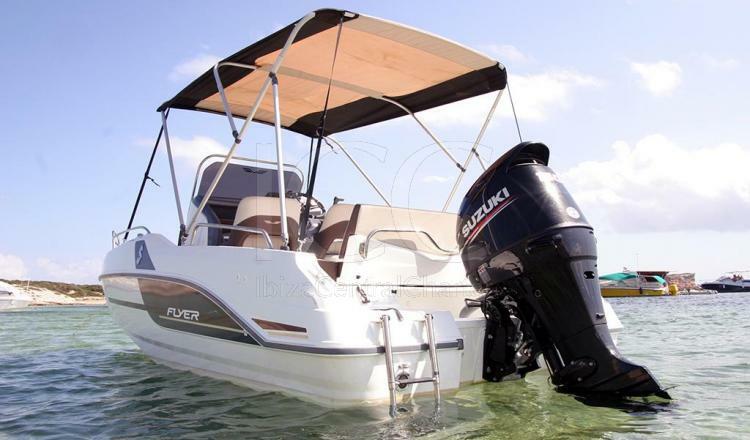 The full amount paid in case of cancellation due to breakdown of the boat, or weather conditions that do not make navigation safe, will be returned.